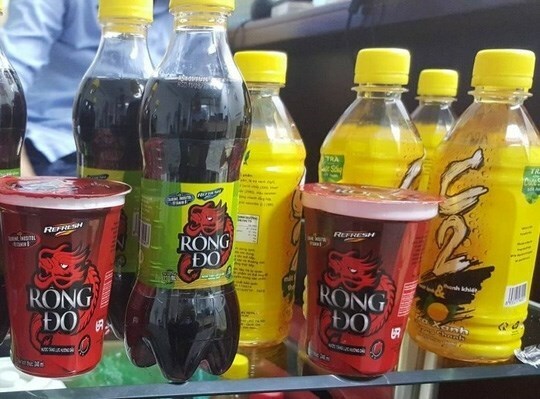 After tests confirmed beverage brands C2 and Rong-Do have high lead content, the Vietnamese Ministry of Health imposed a fine of $260,000 or P12 million against Philippine food manufacturer Universal Robina Corp. (URC). URC Vietnam was found guilty of violating food safety regulations in the country after excessive lead content was discovered in a batch of C2 green tea produced on February 4, 2016 and a batch of Rong-Do energy drink manufactured on November 10, 2015. Tests results confirmed that the drinks contained a lead content of 0.053 to 0.085 milligram per liter which is above 0.05 mg/l, the allowable limit. "We are encouraged by the fact that following the strict audit of our factory operations in Hanoi and collection of 30 samples of finished goods and raw materials used therein, the findings were confined and limited to two specific batches of finished goods,” URC Senior Vice President for Corporate Affairs Renato Salud said in an emailed statement. Salud added that URC is committed to fully comply with product safety standards where it operates and provide products of the highest quality. Meanwhile, the Food and Drug Administration (FDA) emphasized that the products recalled in Vietnam have not entered the Philippine market. According to a report by Thanhnien News, the lead contamination controversy involving the Philippine beverage brands is one of the biggest food safety scandals in the country. URC Vietnam was ordered to recall batches of the two beverage drinks from the market last month, but URC wasn’t able to retrieve around $174,000 or P8 million worth of drinks since these were already sold.